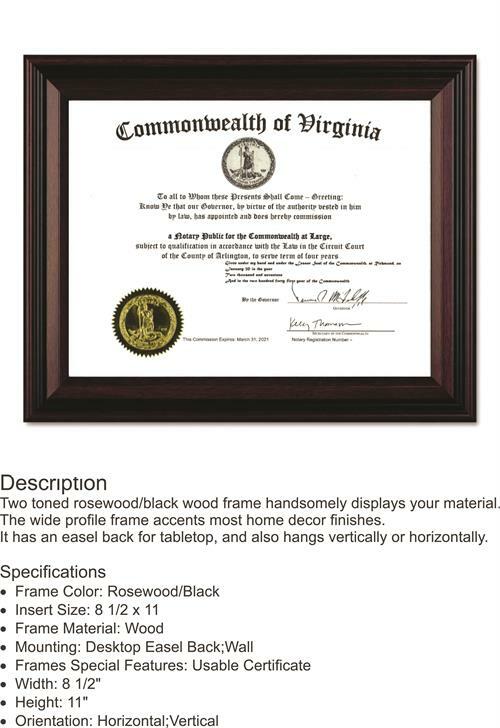 Deluxe frame is made of rosewood with black accent to display your professional licenses, notary certificates, diplomas, awards, business licenses and other documents. 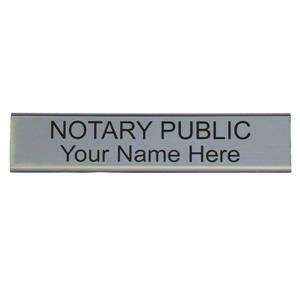 Perfect for notaries public, engineers, architects, geologists, land surveyors, schools, sports and more. Fits 8 1/2" X 11" certificates. 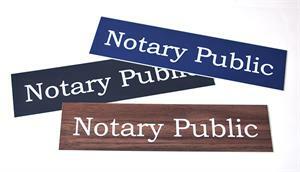 Two toned rosewood/black wood frame handsomely displays your document. Wide profile frame adds sophistication to your home décor. Frame has easel back for tabletop, also hangs vertically or horizontally.